God made the earth as well as the sun, moon and stars. He created plants, animals, man and woman. He saw that his work was good and he rested after the heavens and the earth were finished. The first man and woman God made were named Adam and Eve. Adam was placed in the Garden of Eden and God commanded him that he could eat of any tree in the garden except from the tree of the knowledge of good and evil. He was told that he would die if he ate from that tree. 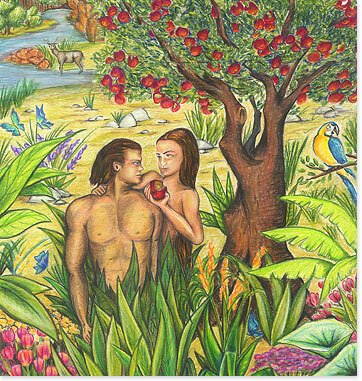 Eve was deceived into thinking that they wouldn’t die, so she ate some fruit from that tree and gave some to Adam. After disobeying God by eating the fruit, they hid themselves in the garden from God’s presence. That is when man first sinned (disobeyed the known will of God). Since then, sin has remained in the world, all people have sinned, and death remains the punishment for sin. God later appeared to a man named Abram and told him to leave where he was, and to go into another land that God would show him. 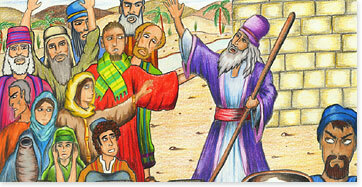 Abram had faith in God, obeyed him, and this pleased God. God later changed Abram’s name to Abraham (which means father of many nations). God told Abraham that in his offspring all the nations of the earth would be blessed, because he obeyed God’s voice. Abraham gave birth to Isaac, Isaac gave birth to Jacob, and Jacob’s name was changed to Israel. 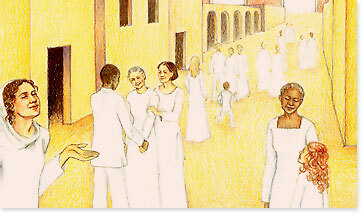 Israel’s twelve sons were the fathers of the twelve tribes of the nation of Israel. The Israelites eventually were enslaved by the Egyptians and God used a man named Moses to deliver them from their slavery. 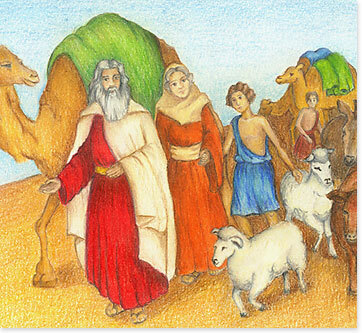 After leaving Egypt, the Israelites wandered through the wilderness on their way to a land flowing with milk and honey, which God wanted them to live in. 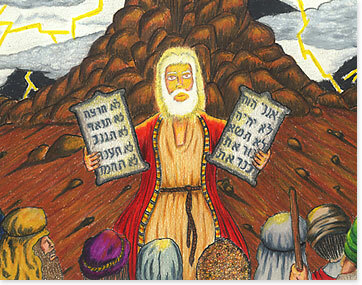 While they were in the wilderness, God gave Moses the law, which Moses taught the Israelites to obey. This law provided the infrastructure for their society, for generations to come, and still impacts us today. God sent prophets to correct people who were acting wickedly. The prophets would often instruct people to turn away from their wickedness and foretell of punishments for sin which would come upon the people. Prophets were often persecuted. God the Father sent Jesus Christ (the Son of God) into the world so that the world might be saved through Jesus. Jesus is the Word, which was with God in the beginning, and was God. The Word was made flesh. How was the Word made flesh? God caused an Israelite virgin named Mary to become pregnant miraculously. 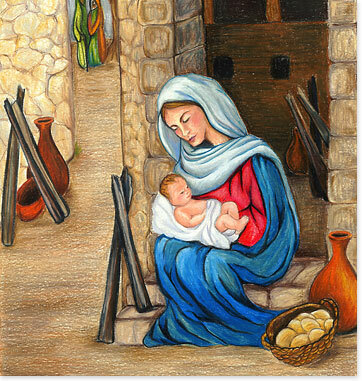 Mary was the mother of this child, but there was no earthly father who had caused her to become pregnant. This child was named Jesus. He was the Son of God, who had now become fully human as well. 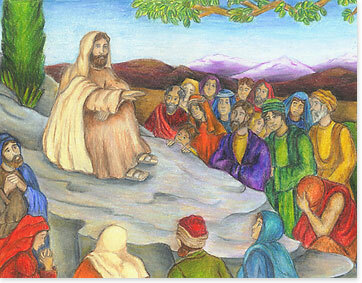 Many years before Jesus appeared on the earth, there had been prophecies which foretold of him. While on the earth, he fulfilled all the prophecies concerning him. Jesus showed people that God loved them. He taught them to love God and to love one another. He is the king of the kingdom of God and his kingdom is not of this world. He preached the gospel of the kingdom of God to people. Those who believe in Jesus and do the will of God will enter his kingdom. He taught people to lay up their treasures in heaven, not on earth where moth and rust corrupt and thieves break through and steal. Jesus did not do anything wrong to deserve punishment (he lived a perfect life), but people who did not like him had Jesus killed. 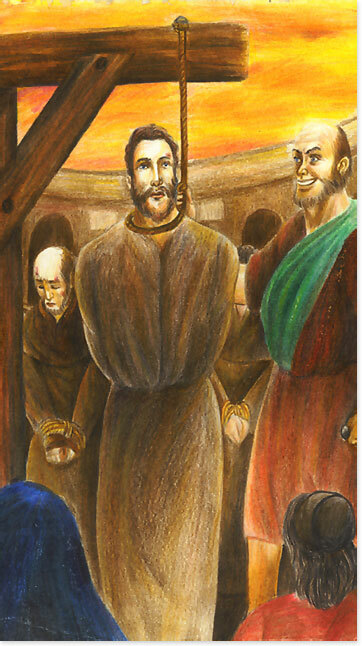 He was scourged, mocked, and hung on a cross until he died. 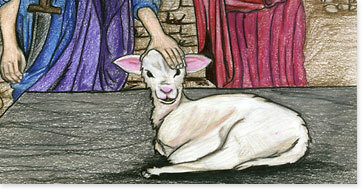 Then, he was placed in a tomb. Just like animals were offered and their blood was shed for the forgiveness of sin, Jesus was offered and his blood was shed. His perfect sacrifice was better than an animal sacrifice and by the shedding of his blood came the forgiveness of sins for all people once and forever. Jesus did not deserve to die, so God raised him from the dead. 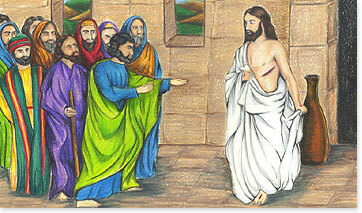 After he arose from the dead, he was seen by many people on the earth. He told his followers to go into all of the world and preach the gospel. Then, he ascended up to heaven. Not only did God raise him from death, but God will also save all people who believe in Jesus and do his will. 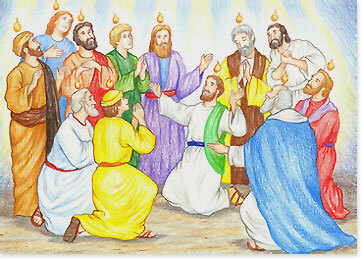 After Jesus ascended up into heaven, the Holy Spirit was sent to comfort his believers who were on the earth. When the followers of Jesus became filled with the Holy Spirit, they received power. As the followers of Jesus told other people about Jesus, many of them believed, became saved and were filled with the Holy Spirit. Christianity spread and the Church grew larger as more people became saved. The Church is the body of Christ and it is made up of people who believe in Jesus Christ. Jesus is the head of his Church. To save others, believers tell people the gospel of the kingdom of God. The gospel message is that Jesus died for our sins, God raised him from the dead and those who believe in Jesus will have eternal life. 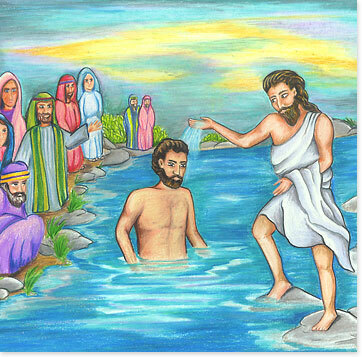 Then, when people believe the gospel message, Christians baptize them (submerse them in water for an instant) in the name of the Father, and of the Son, and of the Holy Spirit. The new believers receive the Holy Spirit and they turn away from sinful behavior and instead choose to love people, even their enemies. The Church has been persecuted and many Christians have been killed for their belief in Jesus. 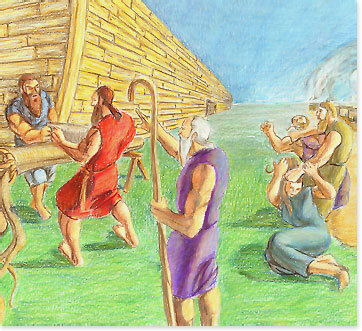 The early Church was heavily persecuted, yet it continued to grow despite being persecuted. Not only did the Church have to deal with persecution, they also had to deal with false teachings. Some people used Christianity as a tool for personal gain in this world. 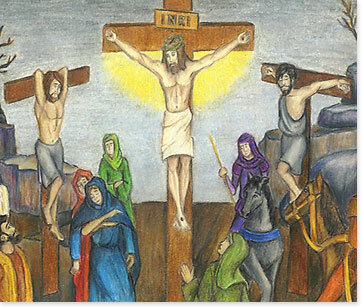 Some so called “Christians” even persecuted and killed people who did not believe in Jesus. They corrupted the truth of the gospel to lay up treasures on this earth rather than in heaven. It is important to realize that just because someone is called a Christian, does not mean they will enter the kingdom of God and have eternal life. Those who do the will of the Father which is in heaven will enter the kingdom. Jesus said to love your enemies and to do good to them that hate you. He said to pray for them which despitefully use you, and persecute you. Today, there are still those who do the will of God, and those who do not do the will of God. The Church continues to be persecuted and Christians continue to be killed for their belief in Jesus. Some continue to lay up for themselves treasures in heaven, some lay up treasures on this earth, which will eventually be destroyed. 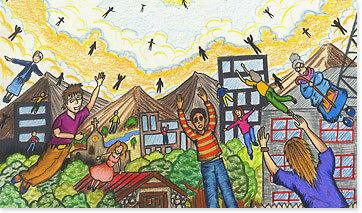 Someday in the future, Jesus will come in the clouds with great power and glory to gather his believers. Those who have already died in Christ will rise first. Then, the believers who are alive on the earth at the time of his coming will be caught up together with them in the clouds, to meet the Lord in the air. The dead will stand before God and will be judged according to their works. The wicked will be thrown into a lake of fire where they will suffer forever. Those who are saved will live forever and they will not participate in this second death. For those who know the only true God, and Jesus Christ whom he sent, there will be no more death, no more sorrow, no more crying and no more pain. God will be with his people and he will wipe away all tears from their eyes. The former things will pass away and all things will be made new. This will continue forever. You have permission to reproduce the information and images contained on this website. This summary of Christianity was first published on October 24, 2008.